Once upon a time (about three years ago), Bonita Usher was camping with her family in Maine. When it came time to start the fire, the family searched the camp store for a firestarter. All they could find was a lump of wax and a wick in a Dixie Cup. 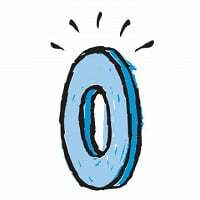 It was homely, but worked surprisingly well — and it sparked an idea for Bonita. She knew that most of her friends enjoyed fires both inside and out — but that they hated the ash and mess that came along with starting one. Bonita challenged herself to come up with a dependable and tidy fire starter that would look good on the hearth. The result: Delightful pine-tree shaped starters called The Maine Flame. They’re named for Maine, the woodsy state where Bonita lives and where fire starting is a year-round activity. Maine Flame Fire Starters are made from nothing but wax and kiln-fired sawdust, so they produce no yucky fumes. To start a fire with a Maine Flame, you simply light it. Whoosh – instant flame! It’s as easy as lighting a candle. The Maine Flame will burn for about twenty minutes — plenty of time to start a roaring fire even with damp wood. Use them to start campfires and say goodbye to funky chemical smells and flying ash. Use them for a fire pit, for the fireplace – even pop a pack into your glove compartment in case you drive into a snowstorm. The Maine Flame is lasting, dependable, and convenient. 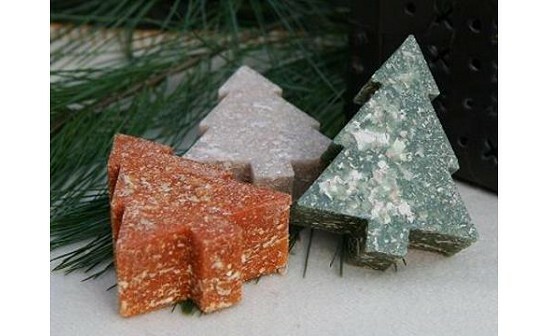 And because they’re packaged so attractively, we think they make a warm and cozy hostess gift. A few years ago, while on a camping trip with my family we visited the camp store looking for something to help us start our campfire. The only thing we found was a small Dixie cup filled with wax and a wick sticking out the top. I couldn’t help but think how unattractive and primitive this fire starter was. As I continued to think about it, I thought about how I could make a fire starter that was more attractive, simple to use, long lasting and easily storable. I talked with other campers and found that most everyone thought as I did….there had to be something better! That created the spark that eventually became The Maine Flame. Over the next couple of years we looked at several ways to make fire starters and researched many different shapes, sizes, and displays. Through a careful and thorough process we created what we and many others believe is the best fire starter on the market today! It not only works perfectly for starting any type of fire but it makes a wonderful gift, looks great in a basket by the hearth and even makes a great stocking or backpack stuffer for camping, hiking, ice fishing, or hunting enthusiasts. Maine Flame Fire Starters are made in Maine with high quality wood from a sustainable forest and specially formulated candle wax. The sawdust is kiln dried; allowing it to burn evenly and fast….it takes about 10 seconds to start a fire and will burn for up to 20 minutes, more than enough time to start any fire even under extreme conditions. That’s it, no paper or kindling is needed when using a Maine Flame Fire Starter. I look forward to your comments and will be happy to answer any questions that you may have. Great product! We tried these in a fire pit and it worked perfectly - just as promised! Super idea - I like this. I use these in my fireplace all the time. They are "green" and easy to use. I was in Maine over the 4th of July normally enjoying a sunny lake vacation. This year as you all know we had showers everyday. The kids still wanting thier smores & roasted marshmallowes we had to have our traditional campfires. I was very fortunate to have purchaed the Maineflame fire starters they along with everything got wet but they still worked and Dad saved the day!! What makes this different than other fire starters on the market? 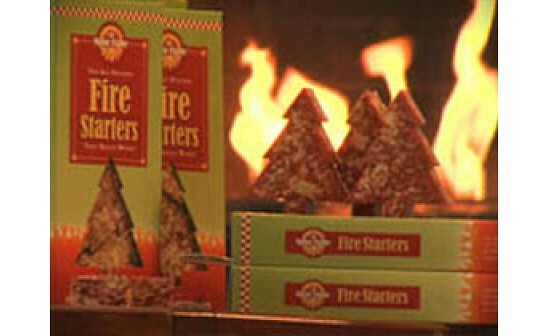 On a recent trip to Cabella's we purchases these firestarter. They suprisingly work as described. We where able to start our campfire in the rain. Hi Matt - one of the biggest differences is you don't have to use paper or kindling with the Maine Flame fire starters. Maine Flame is also compact and easy to start. Our starters burn up to 20 minutes so you can really get a great fire going quickly and easily!!! In addition, we use no chemicals or additives. These fire starters are the best we have ever used. We use them in the fireplace at home, in the yard when we burn our tree debris, in our outdoor fire pit....they are excellent, reliable and environmentally safe! Outstanding product, would recommend it to anyone who needs to "light their fire!" These look so cool - we're heading out on a camping trip in August and these seems like the perfect solution to pack along. Hi Terri, these are so simple to use, easy to pack and such a conversation piece as well, I am sure you will love them. Please email me when you get back and let me know how your trip was!! My family and I have been using these fire starters since they first appeared in the market. They are great for starting camp fires and are also a conversation piece in our home. We have them in a basket near our gas fire place along with some kindling and pine cones. It makes for a nice addition to our room. Once upon a time (about three years ago), Bonita Usher was camping with her family in Maine. When it came time to start the fire, the family searched the camp store for a firestarter. All they could find was a lump of wax and a wick in a Dixie Cup. It was homely, but worked surprisingly well — and it sparked an idea for Bonita. She knew that most of her friends enjoyed fires both inside and out — but that they hated the ash and mess that came along with starting one. Bonita challenged herself to come up with a dependable and tidy fire starter that would look good on the hearth. The result: Delightful pine-tree shaped starters called The Maine Flame. They’re named for Maine, the woodsy state where Bonita lives and where fire starting is a year-round activity. 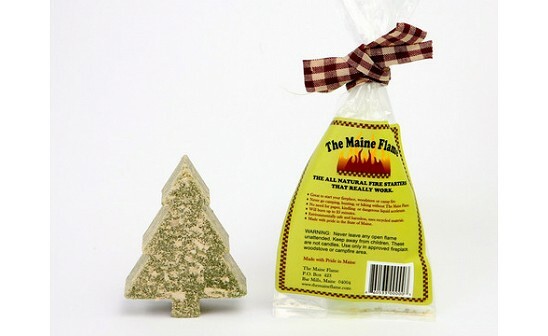 Maine Flame Fire Starters are made from nothing but wax and kiln-fired sawdust, so they produce no yucky fumes.